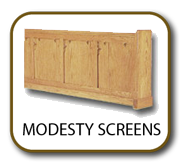 Called "Modesty Screens" by some, "Frontals" by others, these handsome wood screens can be designed to perfect the decor of your church. 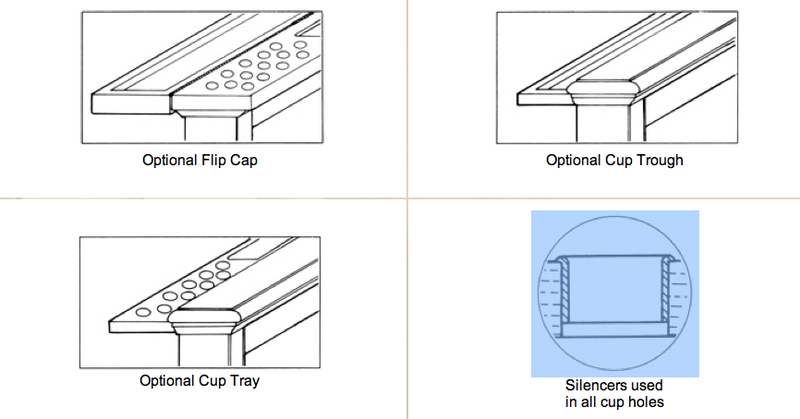 They are often used in front of the Choir as well as in the front of the first row of church pews. They are available with kneelers and with a variety of bookracks. Custom screens and rails available.